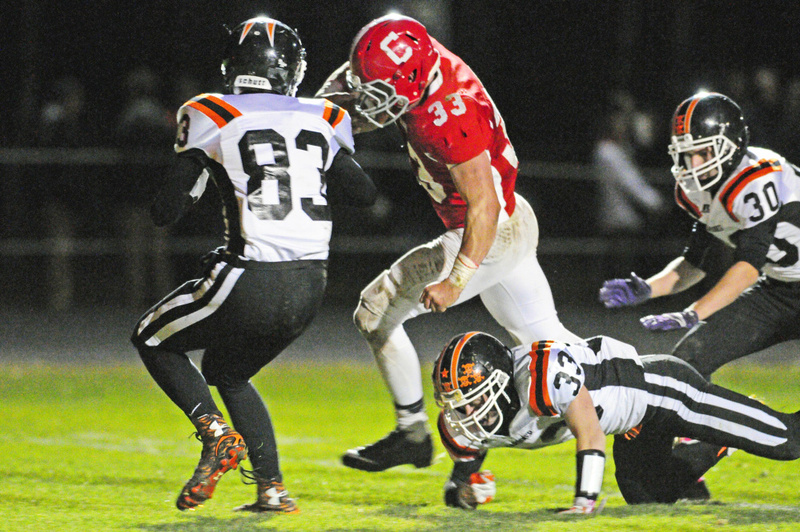 Reid Shostak rushes for 252 yards and 3 touchdowns to carry Cony. 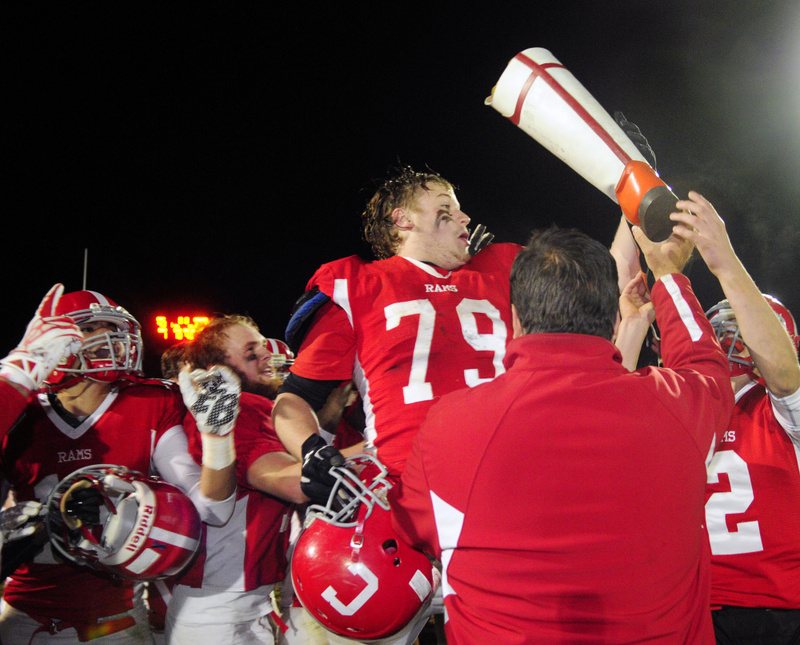 Staff photo by Joe Phelan Elijah Tobey (79) and Cony teammates celebrate with the boot trophy after they sank Gardiner 40-0 on Friday night in the 138th meeting between the rivals. 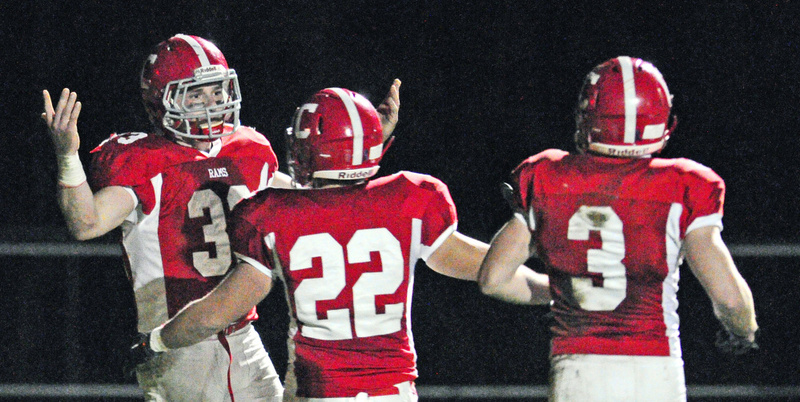 AUGUSTA – Chants of “you can’t stop him” rung out from the crowd late in the third quarter as Cony High School senior running back Reid Shostak ripped off another long run Friday night at Alumni Field. It would be hard not to agree. 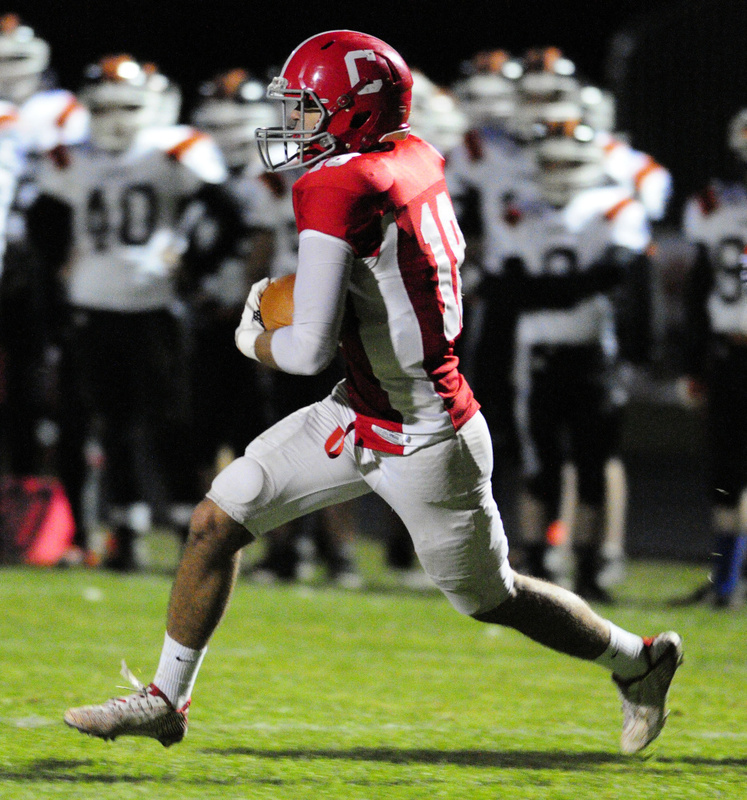 Shostak ran for a career-high 252 yards and three touchdowns on 26 carries as Cony slammed Gardiner for a third straight season, this time 40-0 in the 138th meeting between the rivals. The Rams, who won 41-0 last fall and 76-14 the year before that, have now won four straight overall against the Tigers and six of the last seven. Cony last pitched shutouts in consecutive years over Gardiner in 1971 (29-0) and ’72 (18-0). “It’s my linemen, it’s not really me. 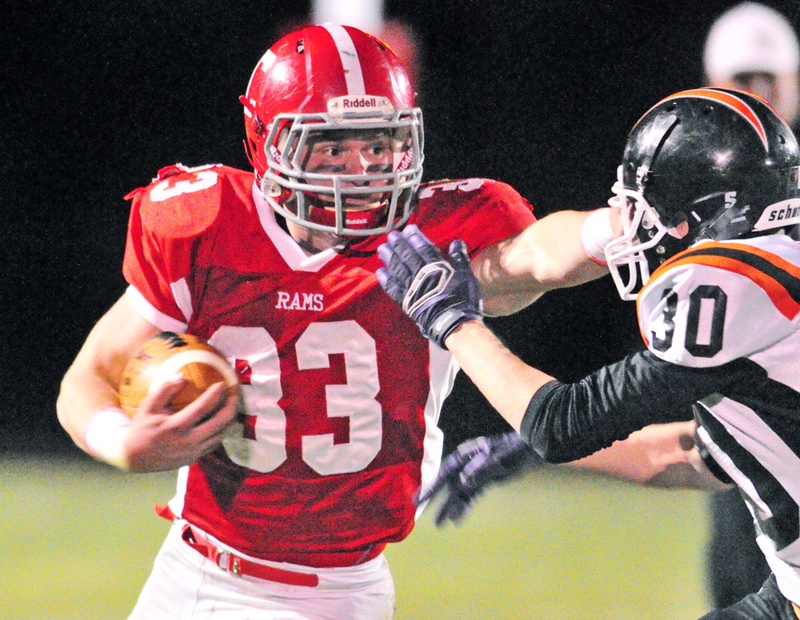 I just run in open space,” said Shostak, who started in each of the past four wins for the Rams over the Tigers. “They’re just throwing kids around. They spent a lot of time in the offseason working out and they’re a passionate group of guys. I wouldn’t rather have anyone else but them. 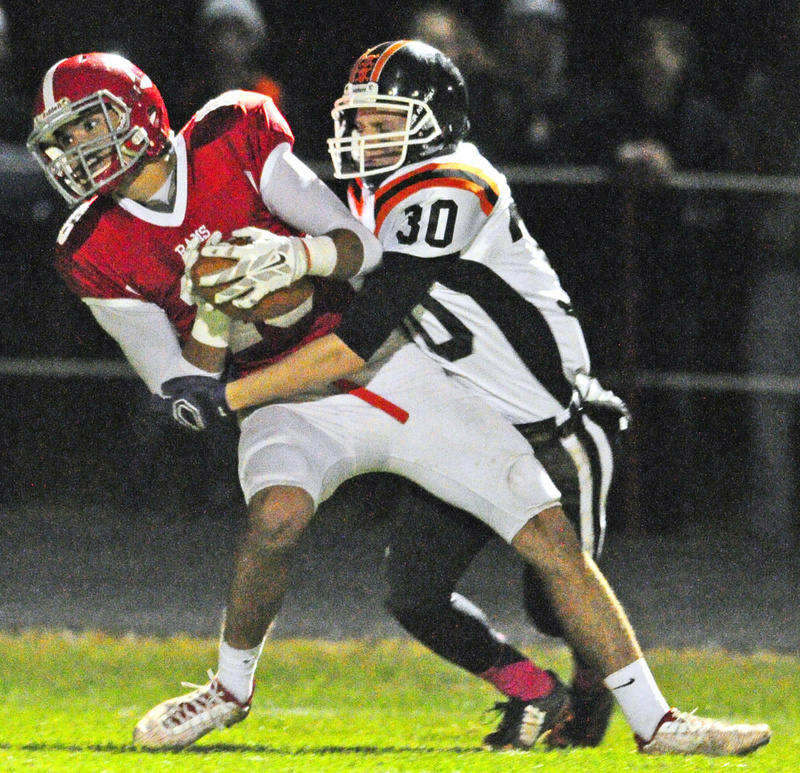 Gardiner — which usually plays more zone defense — played a man-to-man set with four down linemen and four linebackers in an attempt to slow up Shostak, but the senior continued to break tackle after tackle on his way to a career game. 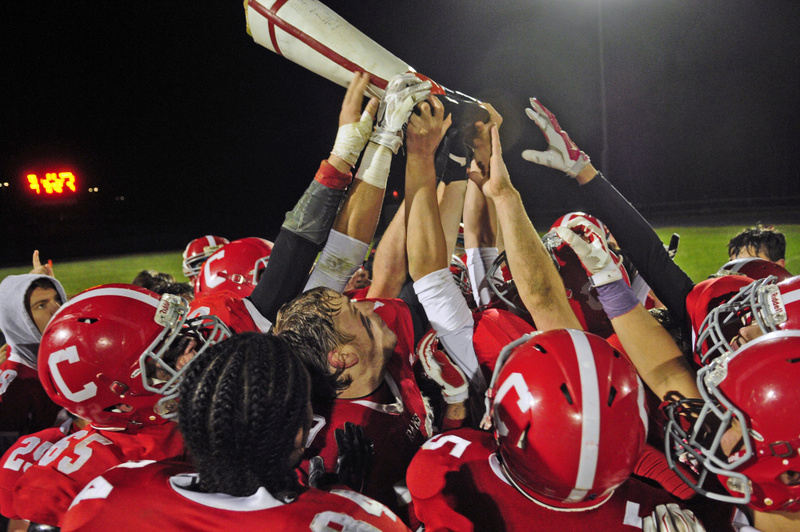 “There were times when we had him stopped in the backfield and man he just twisted, kept going and fighting,” Gardiner head coach Joe White said. “We knew that’s what we were going to get. You’re going to go 10 rounds with a kid like that so you have to be ready to go. 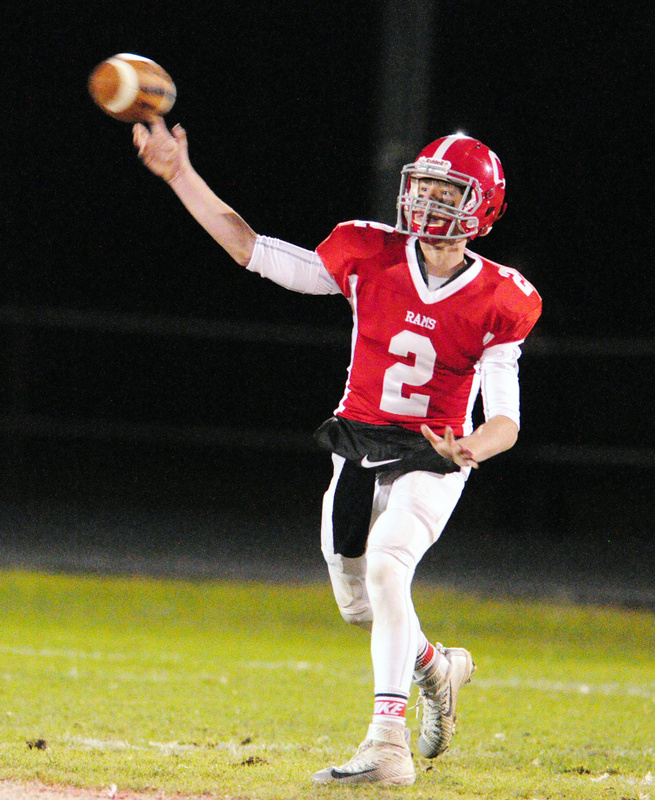 Cony (4-4) — which will play at Mt. Blue in the opening round of the Pine Tree Conference B playoffs next Friday — wasted little time in jumping on the Tigers, marching 75 yards down the field in 13 plays. The Rams effectively took advantage of their strengths on the opening drive, moving downfield on the backs of Shostak and a pair of 6-foot-3 inch wide receivers, Anthony Brunelle and Nijual Davis. Davis capped off the drive with a 15-yard touchdown reception from Taylor Heath to give the Rams a 7-0 lead with 7:16 left in the first quarter. 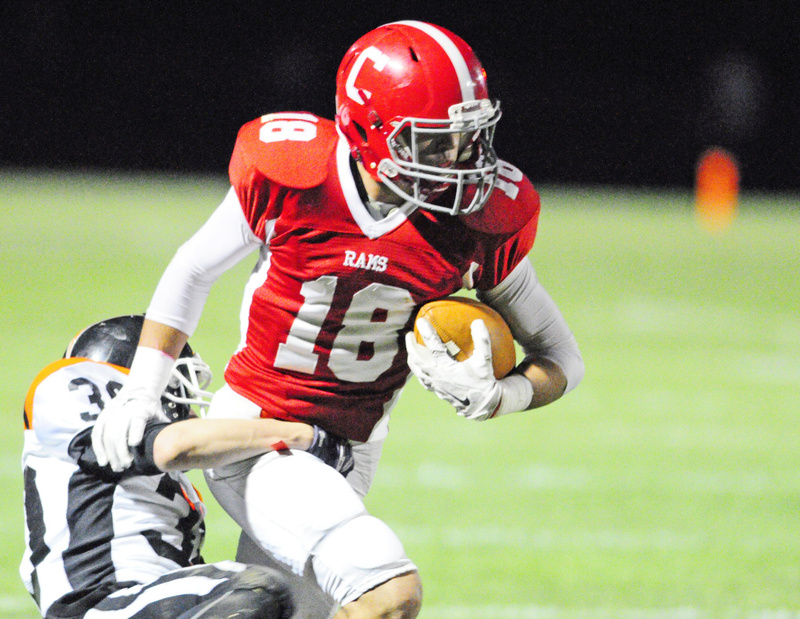 The Rams went ahead 14-0 early in the second quarter on a 2-yard run from Shostak, who added another score on a 9-yard rush later in the quarter to give Cony a commanding 21-0 lead at intermission. Brunelle also had a big game for the Rams, finishing with eight catches for 145 yards and a touchdown, as Heath completed 10-of-18 passes for 157 yards, two touchdowns and no interceptions. Brunelle and senior Lucas Tyler each had interceptions defensively, while Max Storey recovered a fumble forced by Benaiah Willhoite. As a team, the Rams out-gained the Tigers 515-172 in total yards. Cody Spencer was responsible for the bulk of those yards for Gardiner, gaining 85 yards on the ground on 14 carries and also catching four passes for 38 yards.